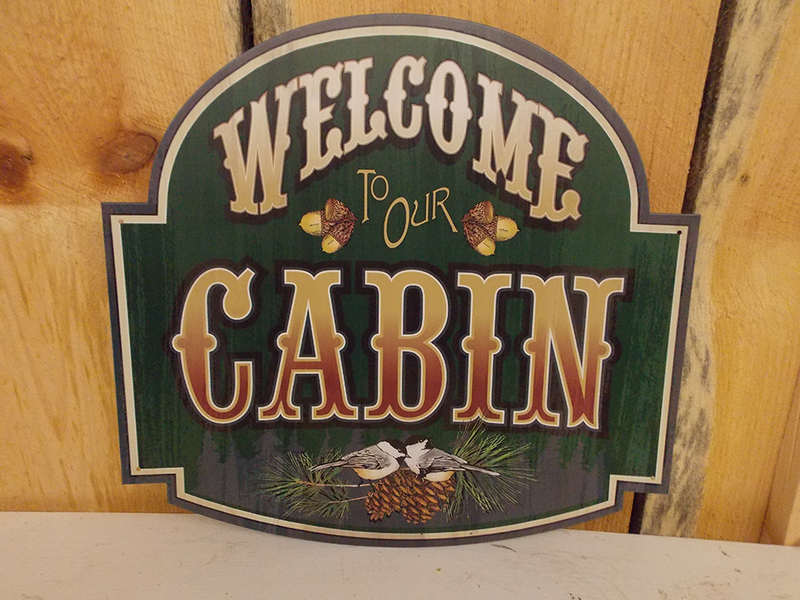 Show charming hospitality to your guests with this Welcome To Our Cabin tin sign. The die-cut shape and old time graphics are warm and welcoming. Complete with birds, pine cones and acorns, this 15.5 inch wide sign lends itself to a traditional woodland feeling.